District Attorney Neal Pinkston is asking for the public's help to find the killer or killers in the 18-year-old double homicide of Sean and Donny Goetcheus. The brothers died on Jan. 9, 1997. The state is offering a $10,000 reward for information that leads to the arrest and conviction of a suspect. On Monday, Pinkston said that the Cold Case Unit's investigation has focused in on the activity of the brothers in the last month of their lives, in particular their activities on Brainerd Road and at the "Pink Building" in downtown Chattanooga near Memorial Auditorium. He declined to say what that activity was. 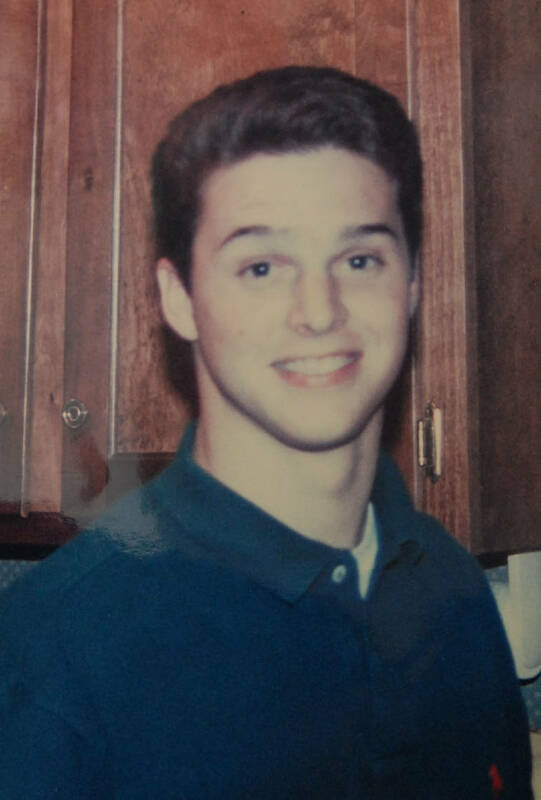 At first, Cold Case Unit investigators thought the killers had come for Sean Goetcheus. In the nearly two decades since Sean and Donny Goetcheus — 25 and 19, respectively — were killed execution-style in their Brainerd home on Jan. 9, 1997, answers have been scarce for the family. Sean, who was in the kitchen, was shot once in the head, and Donny was shot twice after someone kicked in a bathroom door. 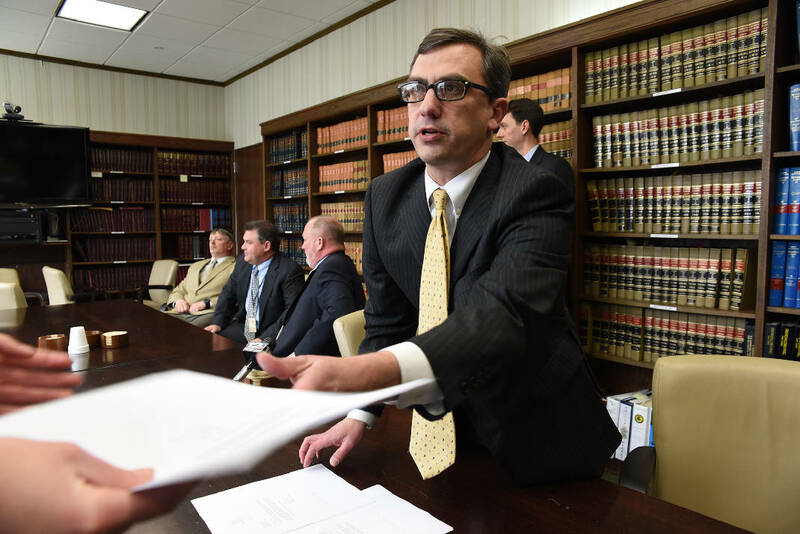 Since reopening the case, Hamilton County Cold Case Unit investigators believed that whoever pulled the trigger in the killings had singled out Sean. But on Thursday they changed their tune, saying Donny Goetcheus, the younger brother, was more likely the target. "We need to talk to anyone who knew Donny well," Hamilton County District Attorney General Neal Pinkston said in a news conference appealing to the public for help. "We need these few minor details." 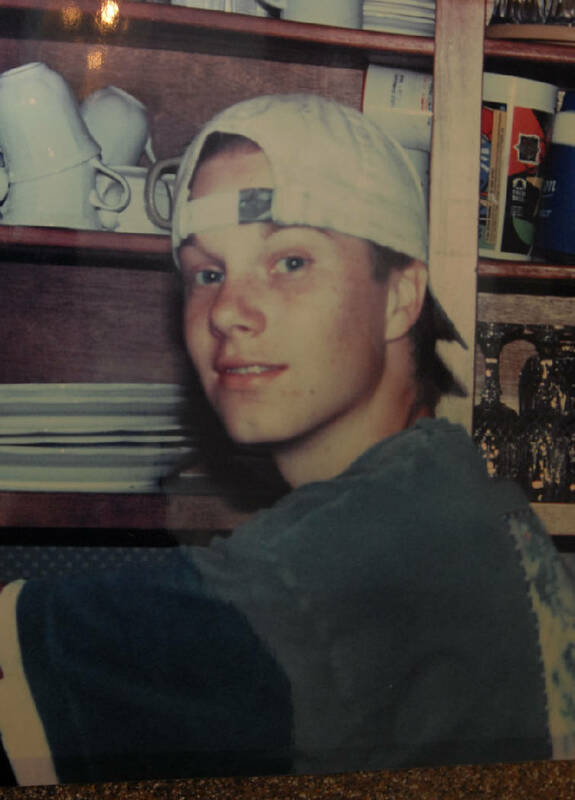 Donny Goetcheus, who friends described as a fun-loving skateboarding fanatic, underwent a serious personality change during the last weeks of his life — from Thanksgiving 1996 onward, Pinkston said. Witnesses told authorities Donny Goetcheus stopped visiting "The Pink Building," an apartment complex on Eighth Street where he would hang out multiple times a day, Pinkston said. He was nervous and withdrawn. Something spooked him, and drugs may have been a motive, Pinkston said. Pinkston said investigators also expressed interest in a young woman who often was with Sean Goetcheus days before the vicious slaying. The woman was never identified, Pinkston said, but the night before his death, Sean Goetcheus made two phone calls on her behalf from a landline. He was trying to locate a taillight for the woman's Honda CRX. At the time, Sean was working at Rick Davis' Brainerd Road gold and diamonds store and had nearly finished his certification as a gem specialist, news archives show. Donny, who lived with his brother and sometimes crashed at the Pink Building, was scheduled to start classes at Chattanooga State Community College the week after he was slain. He also had a 14-month-old daughter. In December 2014, Pinkston sent a request to Gov. Bill Haslam asking his office to use funds to help solve this cold case. The governor responded in February 2015 with a $10,000 reward for information. Then, in March 2015, Pinkston said investigators were focusing on the brothers' activities in the last month of their lives, particularly around the Pink Building. On Thursday, Julenne and David Goetcheus visited the Cold Case Building, days before the 19th anniversary of their sons' deaths. Julenne Goetcheus compared the buildup — which bubbles up each year around Christmas, the last time they were all together — to a high-rise diving board. Climbing the steps is more painful than the top itself. David Goetcheus detailed the weight he feels inside him — no matter how many times he visits the mayor, the police chiefs, the investigators. When Donny Goetcheus couldn't pay his rent in 1997, his father, who had the lease, was forced to make a difficult decision: "I'm kicking you out." That started Donny Goetcheus' downward spiral, his father said. And for years, David Goetcheus has lived with that memory: that he, the man of the family, couldn't protect his family; that he, the father, had failed his children. On the day of their sons' deaths, David Goetcheus went to a wrestling match. Meanwhile, his wife was getting ready to leave town for business. She wanted to get her jewelry fixed first, though, and tried to leave the office to visit the gold and diamonds store where Sean worked. But somebody kept tapping her shoulder, calling her name, or holding her back. She couldn't even pick up her purse. She didn't leave work on time. Because of that delay, she never made it to the store to find out that Sean was missing. She didn't have to check his house or be the first to find both of her sons, lying on the floor, dead. "God is good," she said Thursday. Contact staff writer Zack Peterson at zpeter son@timesfreepress.com or 423-757-6347 with story ideas or tips. Follow @zackpeterson918.